Little progress has been made so far in turning the University Grants Commission (UGC) into a higher education commission due mainly to ‘negligence’ of the officials concerned. UGC, the statutory apex body in the field of country’s higher education, has been recommending the government for turning itself into a higher education commission since 2009, so that it can increase its power to monitor overall activities of the country’s universities for ensuring quality education. The former and present UGC officials have blamed the lack of will of the authorities concerned, their failure to understand the necessity and bureaucratic tangle for delay in setting up the commission. Presently, UGC cannot take any action against irregularities, corruption in the universities, excluding submission of recommendations to the education ministry due to lack of power. Admitting the fact, a UGC official said, “UGC got an allegation of sexual harassment to a female teacher against trustee board chairman of a noted private university. Later, UGC submitted probe report recommending action against him but no action is yet to be taken. Sources said after the country’s independence, the government established UGC in 1973 to supervise, maintain, promote and coordinate university education when the number of universities was only six. But now the numbers of the public universities are 40 while private universities are 101 across the country. The number of universities has increased but the power of UGC is not increased to monitor the varsities. “The Higher education commission is needed for proper management of higher education, improving standard and bringing a quality change in education sector,” he said. UGC sources said the number of students in higher education was only 35,000 during the inception of UGC in 1973 but now the number of students is 35 lakh. So maintaining the activities of around 150 public-private universities is almost impossible for UGC without increasing its power. Despite the prime minister’s willingness, the proposal to convert UGC into a higher education commission through a law has been pending for the last nine years. Prime Minister Sheikh Hasina, on many occasions, stressed the need for increasing UGC power. Finally on Wednesday, the premier, at a press conference, said the capability of UGC should be increased, so that it can regulate all the higher educational institutions properly. UGC sources said a meeting was held at the commission in October last year regarding the proposal for a higher education commission, where UGC sought power to perform 31 types of works to regulate the universities. But later they fixed 16 types of powers, instead of 31, amid objections from the ministry officials. Educationists said higher education commission monitors higher education in many countries across the world, including 14 countries in South-East Asia. Even, higher education of Afghanistan, Pakistan and Fiji is regulated by their higher education commissions. They think a massive change will come to the country’s higher education sector if the commission is established as it will be able to properly monitor the universities. At the same time, it can sign contracts with foreign universities over scholarship and MoU. “Now converting UGC into a higher education commission is a need of the time to properly maintain the activities of the higher educational institutions and expanding higher education in the country,” said Prof Manzoorul, also a teacher of English at the Dhaka University. 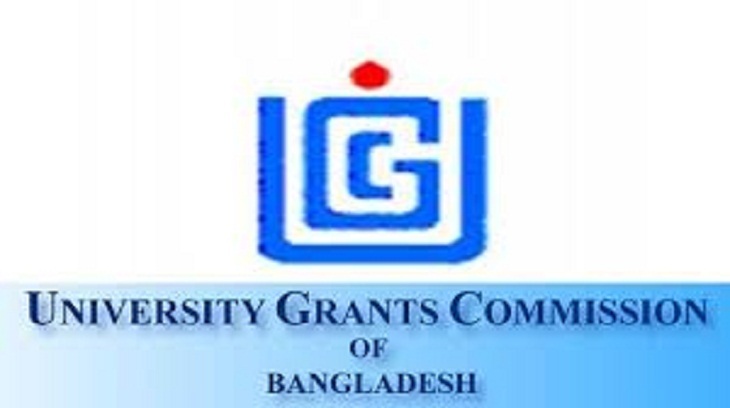 UGC former chairman Prof AK Azad Chowdhury said Bangabandhu Sheikh Mujibur Rahman formed UGC in 1973 for approval of the financial matters of the universities when the number of universities was only six. But now it is not possible to monitor and maintain the activities of a huge number of universities through the UGC, he said. “Someone is delaying the process to turn UGC into a higher education commission in fear of that the power of the education ministry will be reduced, if the commission is established,” concluded Prof Azad.